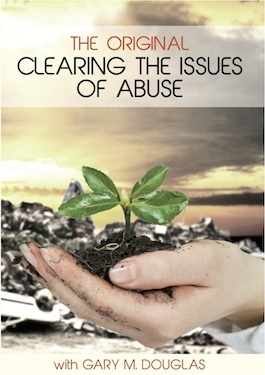 This class will start to unlock those insane places in people where they have received abuse. This (class) will start to unlock those insane places in people where they have received abuse. What would it take for you to be free, joyful and expansive with yourself and your body? If you have suffered abuse of any kind and can not seem to totally heal you or your body, or get over behavior issues, then this 2.5 hour MP3 is for you! Just play this MP3 anywhere you can hear it and watch the change begin. It is that easy. This original abuse class developed by Gary Douglas has a profound healing and clearing effect on people including kids, adults and even animals! This audio is especially recommended if you are looking to release the places where abuse has been locked into your body. Try it out, you will not be disappointed.